floridabird: Nature: Art: Award-Winning Evansville Photographer: Molly Bartels specializing in editorial, wedding and art photography in Evansville, Indiana. 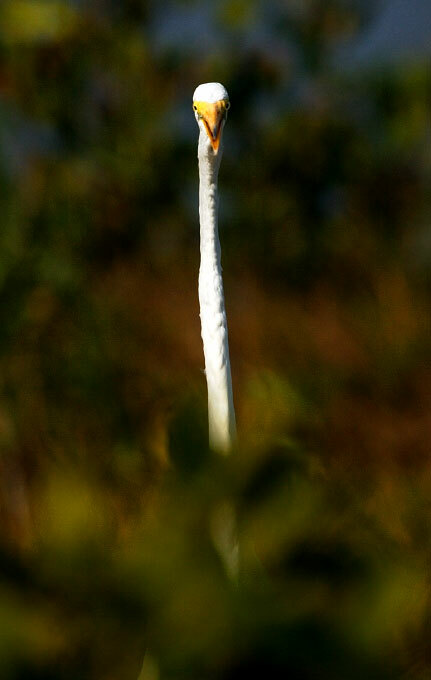 A great egret emerges from its habitat at the Merritt Island National Wildlife Refuge. Eight species of egrets and herons can be seen year-round at the refuge.